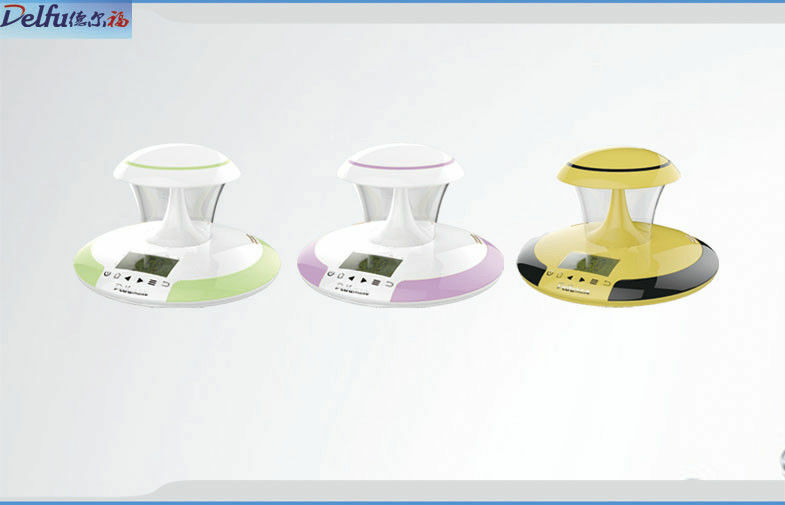 Delfu home ECG with the medical function of detects heart rhythm irregularities within seconds, and in the meantime work as an LED light, thermometer,and talking clock. Real-time collects and displays ECG parameters, stores a large number of records and allows you playback records of your choice. Automatically diagnosis and displays of arrhythmia during recording. Provides accurate day-to-day ECG monitoring of 24 hours whether at home or clinic or office. Wirelessly sends monitoring information by blue-teeth, output reports auto-saved in HTML documents, easy to upload and transfer to cell phone or computer for view and printout. Be suitable for occasional abnormal heartbeat feeling, home/clinic monitoring of chronic heart patients, or patients with blood-pressure, diabetes, etc for diagnosis of cardiac symptoms. Simple extremity lead measure during working relaxation,results one lead waveform. Extremity leads measure requires to be in still of sitting or lying down, when unwell feelings or routine monitoring, analyze 6 waveforms of I, II, III, aVL, aVR, aVF, determine whether heart rhythm is abnormal. Real-time collection of monitoring ECG parameters, stores a large number of records and allows playback records of your choice. Real-time automatically diagnosis and displays arrhythmia during recording. Accurately analysis of ECG complexes, intervals, and segments of PR, provides high quality ECG tracing for cardiologist review. Automatic safety alarming while severe arrhythmia occurs in remote locations urgently, so as to obtain medical help and facilities as quickly as possible. Provides day to day ECG monitoring of 24-hours as Holter. The final collection automatically generates diagnostic output reports, can be saved as data file, which could be renamed and remarked. Output reports can be the HTML format. Playback Mode used for pause, zoom, playback, to review output reports and scatter diagrams. Patients with onset symptoms of (like) palpitations, dizziness, amaurosis, syncope, chest pain, chest tightness, if any abnormal heart rhythm occurs, provide monitoring results to doctors for diagnose reference. Being unwell, do self-ECG test immediately, and early stage of abnormal heart rhythm might be detected (and some heart disease is not necessarily manifested as cardiac discomfort). 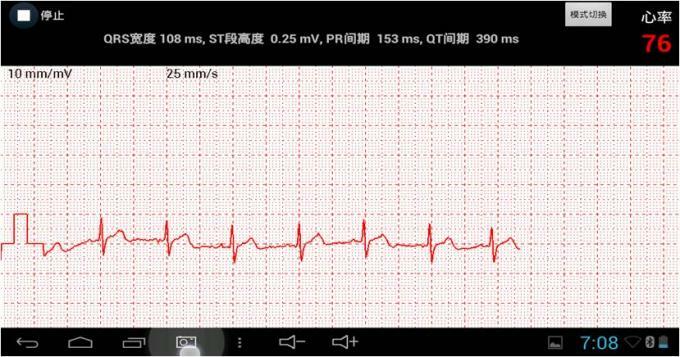 Being well, regular ECG test would be useful for early detection of asymptomatic abnormal heart rhythm. Patients of atria fibrillation, atrial flutter, ventricular tachycardia need long-term post-operative follow-up monitoring after radiofrequency ablation. Patients need long-term follow-up monitoring after cardiac interventional therapy and surgery. Patients need to be observed with the effects of taking anti-arrhythmic drugs. High blood pressure, diabetes to evaluate their drug’s efficacy by day-to-day monitoring. Community hospital uploads collected information to higher level hospital experts for diagnosing real-timely. For Routine physical examination, clinical research, long-term follow-up study of ECG variation, revealing the ECG regularity impacted by patients’ life, sports, medications efficacy. 2 leads for Simulated precordial of waveform of MV1, MV5. Arrhythmia is a common complication of acute myocardial infarction (Ml). It is one of the most important causes of death in patients with serious myocardial infarction. Approximately 72% to 90% of arrhythmias could result in serious myocardial infarction. However, if early ECG monitoring is applied almost 100% of arrhythmias could be diagnosed. 1. The majority of arrhythmia appears within 48 hours after MI, approximately 90% of cases within the first 24 hours. 2. Ventricular arrhythmia is common , ventricular tachycardia takes up 10%~40%,and ventricular fibrillation 4% to 18 %. 3. Other serious arrhythmias such as branch block are often seen within 2 days of MI. MI patients should receive immediate ECG monitoring, whenever heart abnormalities are identified. treatment measures should be urgently applied to prevent the occurrence of serious arrhythmias. The experts pointed out that accurate prediction of sudden cardiac death is an effective preventive measure. and early prevention interventions should be receive much more attention. The survey shows that the city emerging industry groups under high tension are potential crowd of “sudden cardiac death”. They may have no history of heart disease, no consciousness of cardiac abnormalities, but likely occasional mild symptoms, such as palpitation, chest tightness, tachycardia, and heartache, However, up to they go to hospital to take ECG treatment, normal ECG results might be, the causes not captured extactly at that time. The case defies diagnosis. Several similar incidents would lead to disease delays or ignored, that is so increase risk for life-threatening arrhythmias and sudden cardiac death.